The 6 Most Outrageous Things SeaWorld Has Said About "Blackfish"
One of SeaWorld's more macabre complaints about "Blackfish" is whether or not the arm of a SeaWorld trainer was eaten. SeaWorld writes: "Tilikum did not eat Ms. Brancheau's arm; The Coroner's Report is clear that Ms. Brancheau's entire body, including her arm was recovered." The interview between the sheriff's office representative and the paramedic did occur and this is what the paramedic said. "Blackfish" included this interview to illustrate the intensity during this tragic day. To quibble about whether the whale actually ate Ms. Brancheau's arm or "merely" tore it off (which he did – as SeaWorld admits here when they correctly claim that "Ms. Brancheau's arm was "recovered") is mystifying. 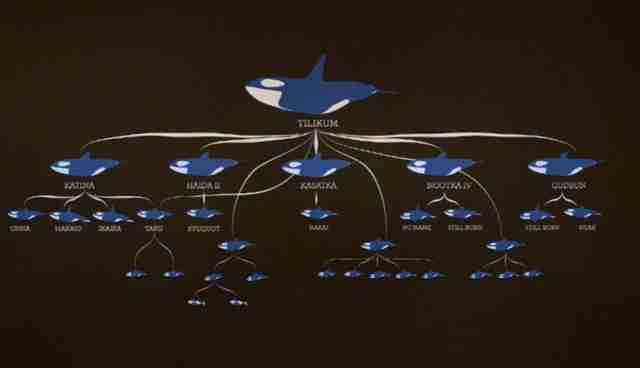 SeaWorld claims there is no evidence linking "whale aggression at SeaWorld to a whale's genetic connection to Tilikum." 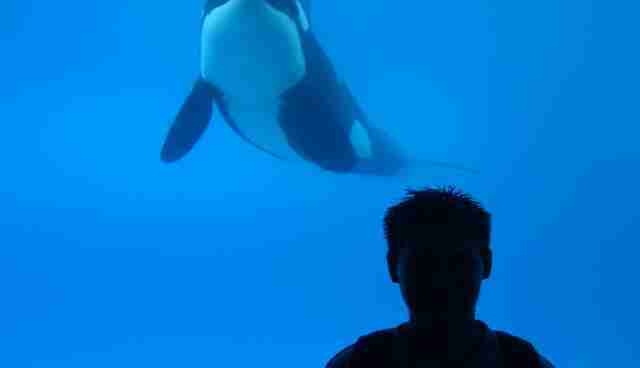 SeaWorld has repeatedly bred Tilikum, a whale that has a history of killing people. By their own admission, if you end up in the water with Tilikum, "you will likely not survive". This would be considered irresponsible breeding by any dog kennel or horse farm. One does not continue to inject questionable genes into a gene pool. SeaWorld never addresses this simple fact and it continues to be of great concern that any institution would take this chance. In their rebuttal to "Blackfish," SeaWorld took issue with the age of a whale calf they separated from her mom. Kalina was disruptive to her mother and the other whales, and at the age of 4 1/2 was moved to another park. The Film misleadingly depicts a calf that is only days old, not 4 1/2 years old. 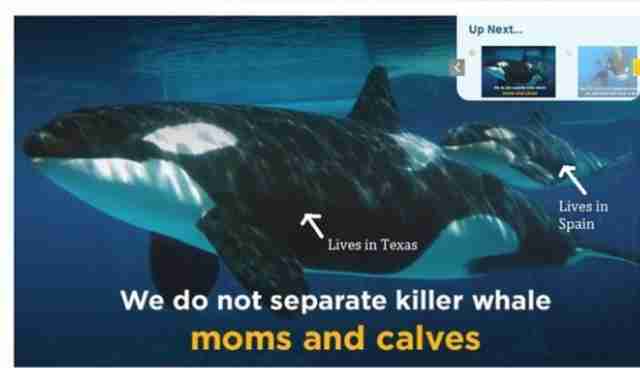 SeaWorld has also promoted the above graphic to claim that they do not separate young orca calves from their mothers at all -- although, as the modified ad above shows, that's false. In another part of their "Blackfish" rebuttal, SeaWorld defends their separating of Kasatka from her daughter, Takara, by writing that, "the separation occurred at SeaWorld San Diego in April of 2004 when daughter Takara was 12 years old. Takara at the time of the move, had her own calf, Kohana, who went with her to Orlando." Kohana was indeed sent with her mother Takara to Florida but at only three years of age they then took her from Takara and sent her to Spain. There, they bred her unnaturally young. By the age of eight she had already given birth to two calves. With no mother or matriarchal figure to teach her how to be a mother she rejected both calves. The second died within a year. And the real issue, "Blackfish" says, isn't at what age SeaWorld separates orca calves: "The issue is that the separations occur at all." In the film, biologist Lori Marino says, "The orca brain just screams out intelligence awareness. We took this tremendous brain and put it in a magnetic resonance scanner. What we found is just astounding." The most recent scientific research demonstrates that cetacean behaviors used to argue for high levels of intelligence are found commonly across mammals and vertebrates, and that cetacean intelligence is qualitatively no different than other vertebrates. SeaWorld's scientific evidence is inaccurate. The paper the aquarium uses as a basis for this statement, a 2013 scientific paper published by biologist P.R. Manger , "has been largely rejected by the marine mammal science community." And killer whales, a type of dolphin, are "one of only a handful of species that has demonstrated self-awareness via the mirror self-recognition test" -- a small clique of mammals that otherwise includes us and great apes. 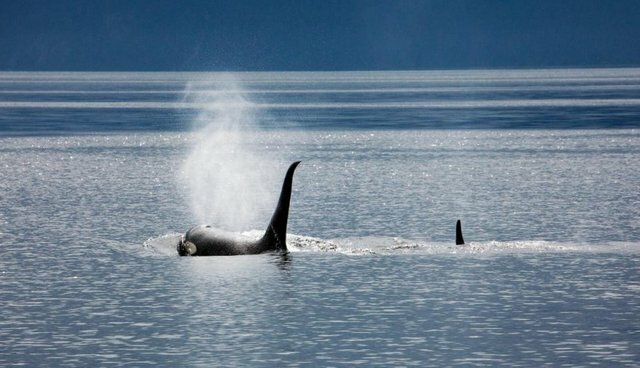 SeaWorld claims that orca whales must leave their mothers in the wild, because, as they write, "if no adult offspring ever leave their mother, there would be no genetic diversity necessary for survival or separate pods of killer whales." They are misunderstanding the science of how many "Blackfish" pods interact in the wild. Males do not disperse from their mothers. This is an established scientific fact in the Pacific Northwest populations and in several other populations where photo-ID catalogues have been and are being established. SeaWorld's criticism here demonstrates a fundamental lack of understanding of the natural history of this species. At one point, "Blackfish" notes, "to this day, there's no record of an orca doing any harm to any human in the wild." • In the 1910s, the Terra Nova Expedition recorded that killer whales had attempted to tip ice floes on which an expedition photographer and a sled dog team were standing. • On June 15, 1972, 43-foot-long (13 m) wooden schooner Lucette (Lucy) was holed by a pod of killer whales and sank approximately 200 miles west of the Galapagos Islands. The group of six people aboard escaped to an inflatable life raft and a solid-hull dinghy. 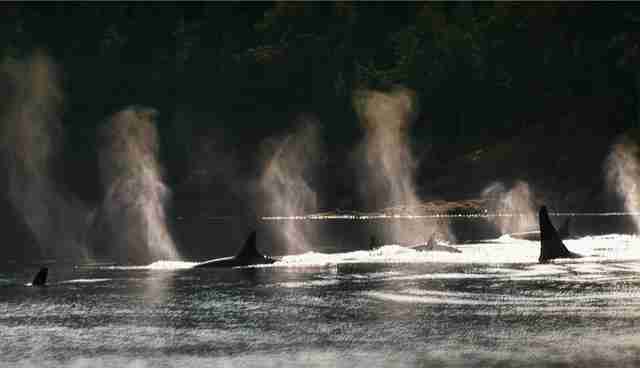 • On September 9, 1972, a Californian surfer named Hans Kretschmer reported being bitten by a killer whale at Point Sur. His wounds required 100 stitches. • In August 2005, while swimming in four feet of water in Helm Bay, near Ketchikan, Alaska, a 12-year-old boy named Ellis Miller was "bumped" in the shoulder by a 25-foot transient killer whale. The boy was not injured. • During the filming of the third episode of the BBC documentary "Frozen Planet" (2011), a group of orcas were filmed trying to "wave wash" the Film crew's 18-foot zodiac boat as they were filming. The crew had earlier taped the group hunting seals in the same fashion. It was not mentioned if any of the crew were hurt in the encounter. But beyond the surfer's stitches, everyone else made it out of the encounter unharmed. These incidents were apparently cases of mistaken identity in which the whales targeted supposed prey and promptly broke off the attacks as soon as they realized their error (including the incident with the surfer). However there is no record of a person being killed in the wild by killer whales. This is over the course of millennia of encounters between killer whales in the wild and mariners, scientists, surfers, swimmers etc. This is over the course of millennia of encounters between killer whales in the wild and mariners, scientists, surfers, swimmers etc. Yet in only 50 years, four people have been killed by captive killer whales, and many others injured severely enough to require hospitalization. In addition, SeaWorld seems to be underscoring the important point that killer whales are in fact dangerous and unpredictable animals, which seems to contradict their claim that it is safe to have unprotected contact with these animals. There's much more to read -- the entire rebuttal was 69 points -- about SeaWorld's backlash against "Blackfish."